The MIM is an improved manifold instrument interface for use on the Choke & Kill drilling manifold, allowing one isolator to feed several components. The compact assembly fixed to stainless steel plate speeds installation. 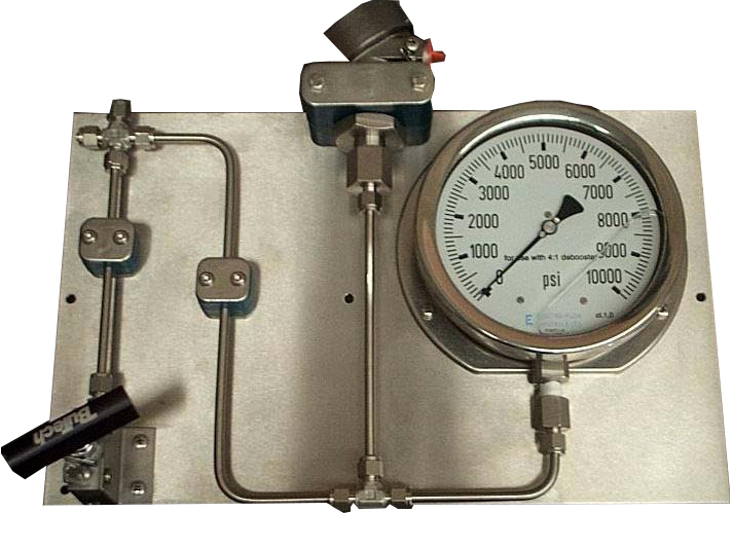 A typical MIM is complete with pressure transmitter and a local gauge is an optional inclusion. 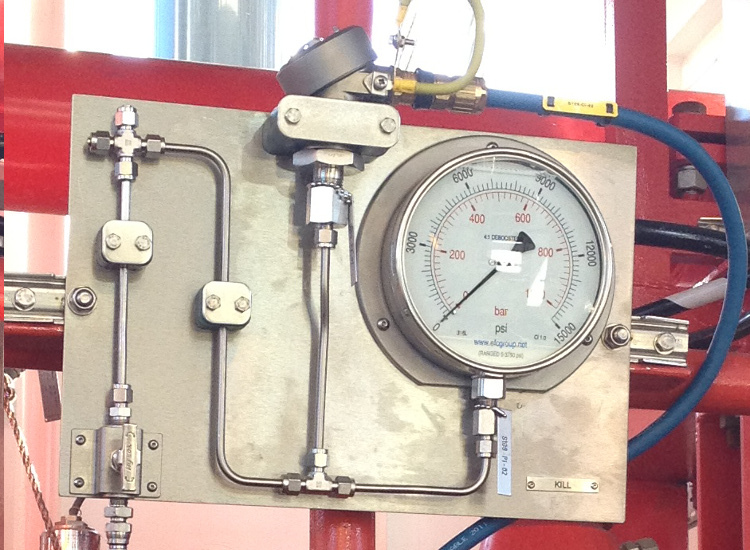 The Gauge can be scaled to suit and as a standard safety feature it is provided 4:1 de-boosted. The MIM Panel is mounted in a convenient to view and accessible location, connected via needle valve and hose, typically by 4:1 deboosted piston isolator, 1502 or 2202, standard or H2S service to the drilling manifold. Please give us a call to kick-off discussion to tailor a design package to suit your requirements.